White Cube is pleased to present ‘Density’, an exhibition of new work by Beijing-based artist Liu Wei, his second with the gallery. Working across a range of media Liu Wei creates work that reflects China’s rapidly transforming socio-political and urban landscape. Part of a new generation in China that grew up in a period of urban expansion, the artist has frequently turned to urban themes in his work. Gleaning the materials for his work from his immediate environment, ­he alters and reassembles detritus found on building sites – such as metal piping, wooden slats, old doors and large sheets of canvas – into highly complex sculptural and architectural installations. His installations often follow a geometrical formula that evokes a minimalist simplicity of line and form. Designed digitally, his large-scale paintings are similarly composed of a grid-like lattice motif of coloured lines. This geometrical motif that recurs throughout his practice follows its own inverted and highly imaginative schema. Liu Wei creates an idiosyncratic system in which all materials – scrap metal, window frames and even the pages of books – are broken down into pure matter and re-ordered according to an unfamiliar set of governances and rules. The title for the exhibition, ‘Density’, evokes the spatial crowdedness of recent urban growth. It also suggests a metaphorical state of pressure and impenetrability, in which art poses questions and prompts new ways of thinking, rather than proclaiming ultimate truths. Liu Wei was born in 1972 in Beijing, where he lives and works. He graduated from the National Academy of Fine Arts, Hangzhou, in 1996. 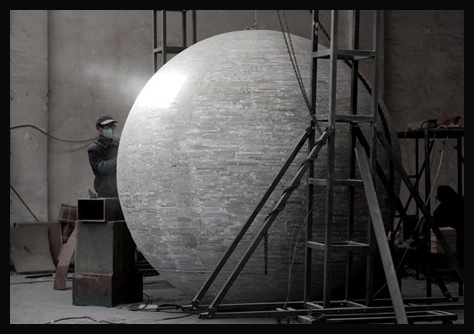 Solo exhibitions include ‘Trilogy’, Minsheng Art Museum, Shanghai (2011); ‘Myriad Beings’, Today Art Museum, Beijing (2011) and ‘Liu Wei’, Long March Space, Beijing (2012). He has taken part in many international group exhibitions, from ‘Beijing in London’, ICA, London (1999) to ‘China Now’, MoMA, New York (2004), ‘China Power Station: Part II’, Astrup Fearnley Museum of Modern Art, Oslo (2007) and ‘DREAMLANDS’, Centre Pompidou, Paris (2010). Liu Wei participated in the 51st Venice Biennale (2005); the 9th Lyon Biennial (2007); the 4th Guangzhou Triennial (2012) and the 11th Sharjah Biennial (2013).